History texts teach that the Indus Valley society, one of the earliest known human civilizations, arose along the banks of the Sutlej River. But a new study published in Nature Communications suggests the river may have shifted away from the area 3,000 years before humans built their cities, writes Jonathan Amos at the BBC. What's different: Other ancient civilizations, like Egypt and Mesopotamia, were built and flourished along rivers with consistent water. The authors of this study believe that in contrast, the Indus Valley civilizations depended on seasonal floods from monsoon rains. What's there: The Indus Valley archaeological sites include Mohenjo-daro and Harappa. Although the sites were discovered later, the civilization appears to have been larger and more widespread than contemporary societies in Mesopotamia and Egypt scattered along and throughout what appears to be a massive, ancient riverbed. 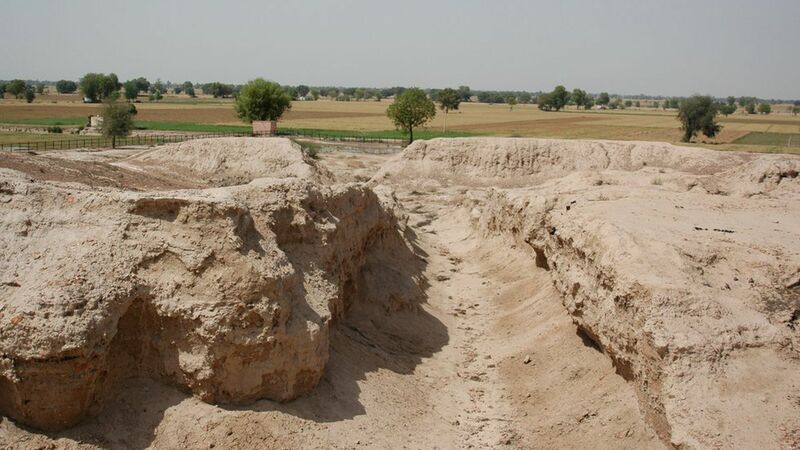 What they did: The researchers used satellite imagery to map the course of the Sutlej River through time, and determined that the Sutlej indeed formed the riverbed the civilization flourished along. However, when they dated the sediments in the channel left by the river, they found it hadn't run through that region for over 8,000 years. A benefit? It's possible the absence of the river helped the fledgling civilization. "Some of their sites were actually built in the palaeo-channel itself and that makes no sense if there was a big raging Himalayan river there at the time because these people would have been wiped out" by devastating, seasonal floods, study author Rajiv Sinha told the BBC. Not so fast: Rita Wright, an anthropologist who was not involved in the study, tells the BBC that it's important to keep in mind that the Indus civilization was large and sprawling, and this only examines one region of it.